While CO-type chip breakers only redirect the chips, the new »IC-plus world`s best« chip breaker will already guide chips with a cutting depth (ap) of 0.01 mm. The cutting depth can be increased up to the maximum length of the cutting edge. LACH DIAMANT can look back on twenty years of experience in the development of PCD chip breakers. 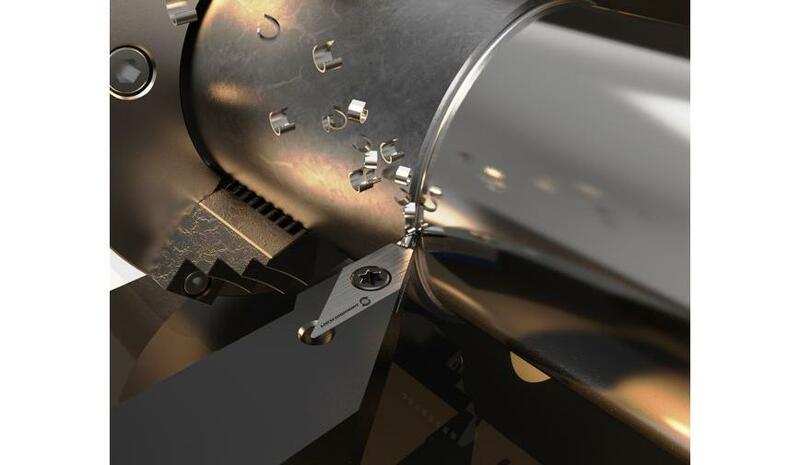 Practice has shown, however, that chip breakers with a so manufactured chip groove have proven to be only suitable to a limited extent for a process-reliable, controlled chip breaking process of long chipping aluminium alloys. LACH DIAMANT’s PCD »IC-plus« already announced as the »world`s best« chip breaker was born.